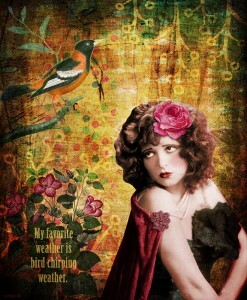 One of my newest pieces of digital artwork is based around a vintage photograph of Clara Bow. I love her face, she has some many expressions. I am sure many of them were for movie stills, but they are very cool, as some a pretty hilarious. I found this great photo of Clara Bow and wanted to use it in a collage piece. My artwork usually starts with just an image that inspires me. I never know what it’s going to look like when it’s done. And I always like finding some words to go with it, but I never know what those words will be either – until its done. The background is a collage (all digital) of about 20 different layers of images, filters, and brush effects. The bird is a vintage image from the late 1800s book illustration on birds. I love combining lots of different design colors and shapes, and trying out different filters and settings to see what happens when 2 or more images are combined. It’s so magical. I am addicted to Photoshop. The image was black and white so I added a bit of pink skin color, make up, hair color, and colorized the dress and cape. I also found a flower that I thought would fit nicely with her hair. The flowers on the left are also from a vintage illustration. I darkened down the edges of the image to put more emphasis on her, the bird and the flowers. I like the way it all turned out. My name is Cat and I'm a Photoshop artist. I enjoy creating digital artwork from old vintage illustrations and photographs, and even from my doodles. I love everything related to collage and Adobe Photoshop. 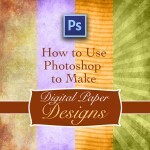 I offer free tutorials and digital goodies, as well as in depth courses on Photoshop for artists. Happy creating to you! The Bundle For Good is Now Available – 5 days only! 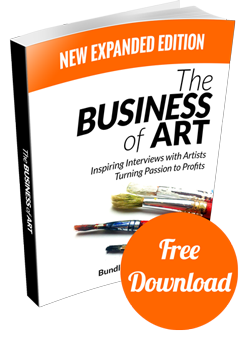 Free ebook: Inspiring Interviews with Artist! Have fun creating beautiful textures in Photoshop. Quick and easy techniques for semi-beginner to intermediate Photoshop users. Only $9. Save $20 with this coupon link. 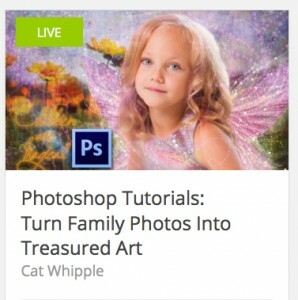 Learn Photoshop while turning your family photos into wonderful art that your family will treasure for years to come. It's a fun and creative way to learn one of the most amazing photo editing programs in the world. Click the image for more information and to get the course for $19 (regular price is $99). 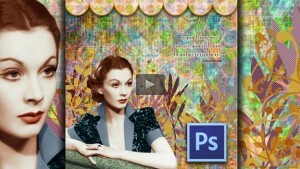 Learn Photoshop: Create Gorgeous Art in 2 Days is an online course for beginners who want to create professional looking digital art. The course includes over 30 videos and is project based so by the time you're done you will have created your own original artwork. Save 80% off with this coupon. 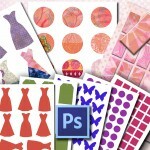 Learn how to create digital collage sheets in Photoshop for crafts or to sell online. Ready made templates included. I have another website that focuses on mixed media artwork. 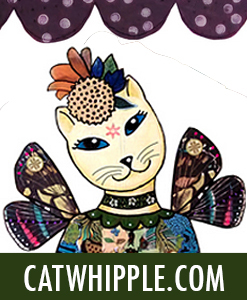 It is new but I will be adding collage, art journaling, and mixed media tutorials, goodies, and articles. 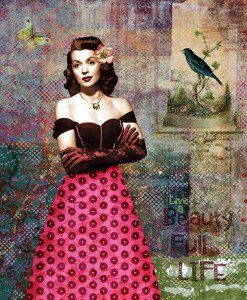 Get our Vintage Collage Kit FREE when you signup for our newsletters.